We investigated the effects of the polyphenolic compound curcumin and its metabolite tetrahydrocurcumin (ThC), in the model of Parkinson’s disease induced in mice by 1-methyl-4-phenyl-1,2,3,6-tetrahydropyridine (MPTP). In this model depletion of dopamine(DA) and DOPAC (3,4-dihydroxy phenyl acetic acid)) occurs with increased monoamine oxidase (MAO-B) activity. We used HPLC with electrochemical detection to measure DA and DOPAC respectively while MAO-B was assayed by spectroflourimetry using the conversion of the fluorogenic substrate, kyuramine. 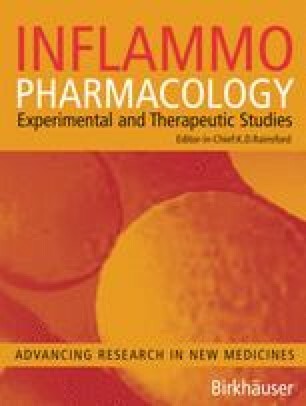 Systemic administration of curcumin (80 mg/kg i. p.) and tetrahydrocurcumin (60 mg/kg i. p.) significantly reversed the MPTP-induced depletion of DA and DOPAC. The MAO-B activity was also significantly inhibited by these compounds. The results showed that curcumin and tetrahydrocurcumin reversed the MPTP induced depletion of DA and DOPAC which may in part be due to inhibition of MAO-B activity. In conclusion, both curcumin and its metabolite ThC exert neuroprotection against MPTP induced neurotoxicity.